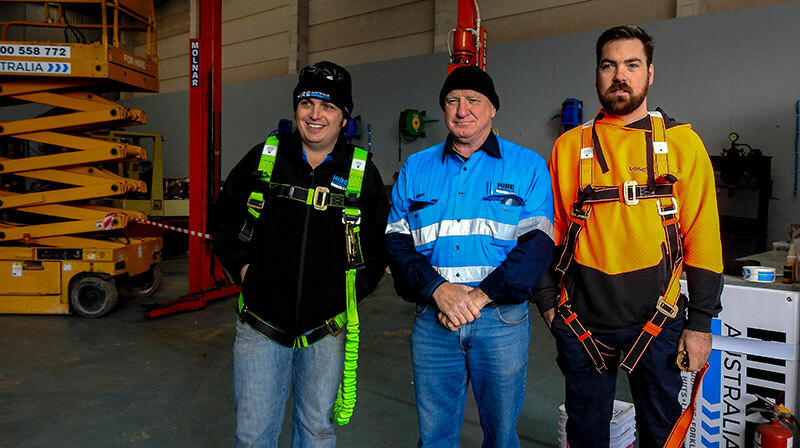 Hire Australia is the proud new owner of a mighty Genie® SX™-180 boom lift and to celebrate, the Warrnambool hire access firm was able to train more than 20 of its local customers in the operations of the mighty telescopic boom. Hire Australia started in 2009 as forklift specialist. It has since increasingly focused on access equipment with Genie, a prominent brand in its 55-strong fleet. The company purchased a Genie SX-180 boom lift after Owner Matt Reeves read an article in Blue News, a Genie publication, about how the boom was being used to service wind farms in Tasmania. Would you like training with that boom? “Hire Australia is very self-sufficient regarding the technical side of servicing its fleet, but the Genie SX-180 boom lift is a new machine, and as part of the purchase we wrapped in our specialised Genie Lift Pro™ training,” said Alastair Mitchell, Technical Trainer, Genie Asia Pacific. Genie Lift Pro operator training courses are Verification of Competency (VOC) high quality, professional-grade, programs that are delivered through a network of certified trainers. It is designed to satisfy the general training requirements for aerial work platforms as defined by Genie.